In the recordings, Dirk Hoeseler (drums), Albert Ricken (bass) and “Piano” Schulze (piano) put a driving, black beat among the otherwise rather white sound of the Moonshiners. 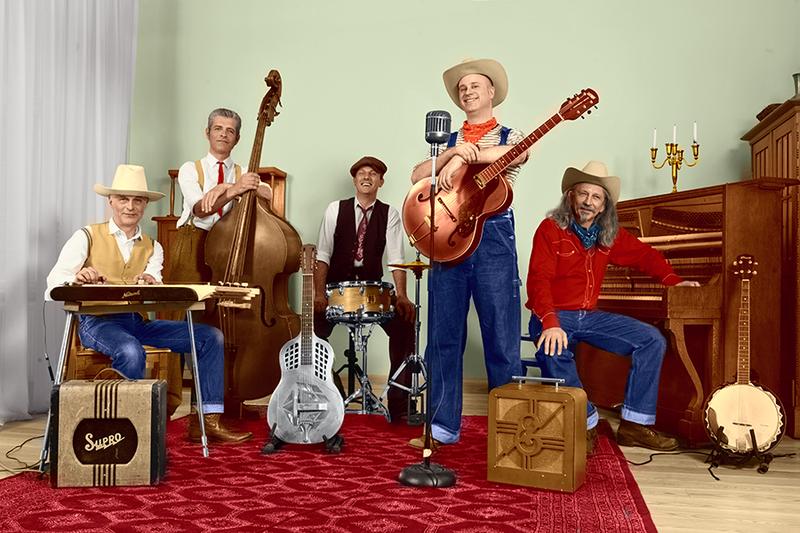 Twinlines by Lap Steel (Rick Ramsey) and guitar (Mike Penny), together with Mike Penny’s distinctive vocals, create the typical Moonshiners sound. Why the album bears the title “Rock Me Daddy-O” explains Mike charmingly: “Our average age is 52 years, and together we are counting 8 children (3 of them are in mine) …” Questions?